Fall is in the air. Damn, seems like only last week I was doing a dog-days-of-summer soundtrack. Welcome to the changing of the seasons modcast. 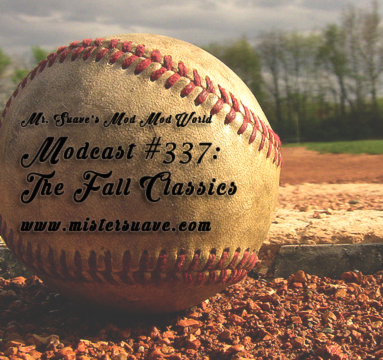 It's time for fall classics, so I've compiled a whole bunch of what I call fall classics for you, as well as paying homage to the fall classic which is going to sneak up on us pretty quickly now. So grab your glove, put on your rally caps because we're going out to the ball game, right after some brand new music.